Casino.com is accelerating the action by inviting players to become the Champions of Monaco. “Supercharge your bonuses, accelerate your points and get the inside track on your road to VIP glory,” is how the Playtech powered site, so popular with players from South Africa, invites you to join in the action. The custom-engineered promotion kicks off today and will run until Sunday, May 28th at 23:59. “Enjoy both high octane reloads and double points bonuses, plus exclusive VIP only top ups on wins,” promises Casino.com. The Champions of Monaco promo is actually three promotions in one. 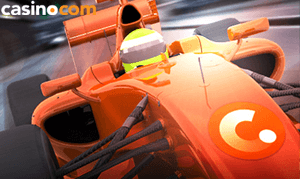 • Pole Position: Players enjoy a daily, turbo-charged reload bonus of 25% up to R1,000 by using the bonus code HORSEPOWER. • VIP Fast Track: Players who are non VIPs at Casino.com online casino have a fantastic way to get on the VIP podium faster. They can play during the week and Casino.com will double their loyalty points, which gets them closer to VIP status (maximum 500 points). • The Lap of Victory: For those who are already VIP players at Casino.com, the casino is giving them the chance to top up on all their wins. 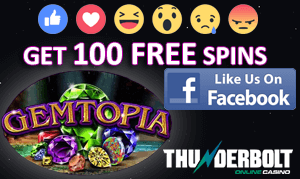 Every Thursday, the site will credit VIP players with 10% of their winnings from Monday to Wednesday, up to R1,000. As with all online casino promotions, the Champions of Monaco promo carries with it terms and conditions that players should be aware of before they sign on the bottom line. If you haven’t yet made a deposit into your Casino.com, you should redeem the Welcome Bonus so that you become eligible for the Champions of Monaco promo. The top up on wins offer runs each week from 00:01 on Monday until 23:59 on Wednesday during the promo period. To be eligible for the top ups, you will need to be a VIP or VIP Elite customer and play with real money. The minimum deposit to enjoy a top up is R10, while the maximum top up is R1,000 each week. Naturally this is only awarded if the player wins. Top ups are credited in cash, with no wagering requirements. As far as reload bonuses go, these can only be claimed once per day during the promo period.